This friendly, affectionate dog was one of the first among the ‘planned hybrids’—but what do you feed a dog that’s half Cocker Spaniel, half Poodle? What’s the best dog food for Cockapoos? We’ve done some research on this subject—and here’s what we found. How Many Calories Does A Cockapoo Need? A standard Cockapoo should weigh at or above 19 pounds, and stand about 1 foot, 3 inches tall at the shoulder. This breed actually comes in four different size categories, but these are derived from crossing dogs of different sizes. The Standard Cockapoo is the type that we’re going to talk about in this article. A standard Cockapoo is generally regarded as ‘any Cockapoo that weighs 19 pounds or more’. They’re the largest of the Cockapoo types—though they’re still not a ‘massive’ breed by any means. 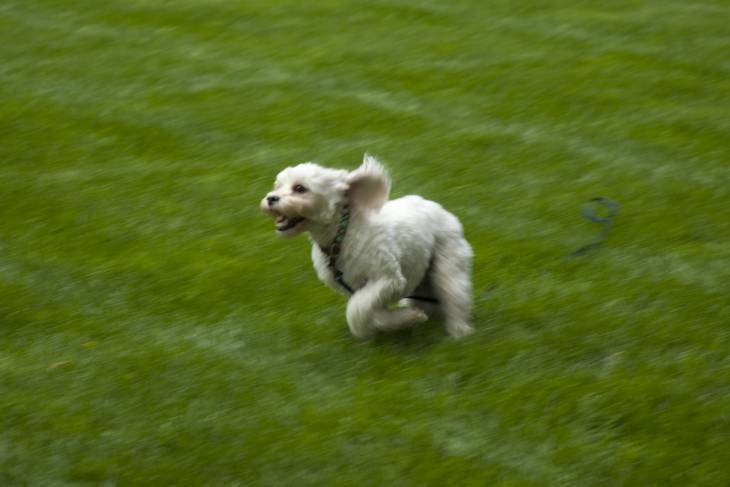 A less active dog of this breed will require about 450 calories per day to remain active, while a moderately active Cockapoo might need more like 550. If your Cockapoo tends to be highly active, gets a lot of outdoor playtime, or spends a lot of time exercising, then you might find yourself feeding him/her somewhere closer to 880 calories per day. Cockapoos need a quality diet of whole foods to stay healthy, happy, and active. Some of them are prone to eye problems, which is why feeding a diet that contains ingredients like eggs, cold-water fish, carrots, blueberries, kale, and/or garlic is a great idea. These foods contain essential vitamins, minerals, amino acids, and fats that help to support eye health, making them a great addition to any Cockapoo diet. Cockapoos can also suffer from some joint problems—which is why a diet that’s rich in Omega 3 Fatty Acids, glucosamine, and chondroitin is super-important. Fatty acids like Omega 3 can be readily found in a number of different foods, like fatty fish, canola oil, and spinach—and will do a lot to help prevent joint and ligament problems. This dog breed can also tend to suffer from allergies—so feeding a high-quality dog food and using some hypoallergenic products (like shampoos and flea powders) can go a long way toward avoiding such problems. What Are This Breed's Most Common Health Problems? Cockapoos tend to be a pretty healthy breed, but they can still be prone to a few health problems. A lot of the worst possibilities can be ruled out by making sure that your puppy’s parents were tested for genetic conditions prior to breeding. Still, with that being said, here are some conditions that tend to be common with this breed. Cataracts are characterized by a cloudiness of grey or blue in the lenses of the eyes. This condition usually develops as the dog ages, and tends to get worse over time—though it may or may not actually hinder your dog’s vision. A diet that’s rich in ingredients like carrots, eggs, cold-water fish, and blueberries can help to prevent eye and vision problems in dogs, including Cataracts. For more information about this condition, check out this article from PetHealthNetwork.com. This is an inherited hip condition that can be tested for in the parents. In theory, you could avoid this problem altogether by not buying a puppy that hasn’t had both parents tested before breeding—which is a process that most reputable breeders are very good about completing. If your dog is potentially at risk for the condition, you can help to prevent it by feeding a diet that’s rich in Omega 3 Fatty Acids, Glucosamine, and Chondroitin. To understand Hip Dysplasia better, take a look at this article on the subject from peteducation.com. Unfortunately, Cockapoos can sometimes suffer from ‘trick knees’, which is a condition where the kneecap suddenly slides out of place. This can be very painful and problematic for your dog—though keeping him/her at a healthy body weight and feeding a diet that’s rich in Omega 3 Fatty Acids can definitely help to prevent it. For a more in-depth description of this condition, I would recommend this article by petmd.com. On average, Cockapoo puppies will weigh about 5 pounds by the time they’re 8 to 9 weeks old. At this size, they’ll need about 200 calories per day to stay energized. Most Cockapoo puppies are weaned from their mother by the time they’re 6 weeks old, though it’s not recommended that they leave the litter until they’ve reached the age of 7 or 8 weeks. Waiting to separate them from their birth mother and litter for a week or two after they’ve weaned gives them more time for crucial socialization—though it’s still important that the breeder handle them and play with them around this time to help them get more used to interacting with humans. It also helps them to grow a bit stronger before setting out on their own in a new life with their adopted family. Cockapoo puppies are easily trainable and very intelligent—though it might be advantageous to begin basic obedience training sooner rather than later. There are obviously a lot of different dog food choices on the market nowadays—and some of them are exceptionally well-made. But we always try to look at the ingredients, and try to choose our top-rated pet food based on the breed’s specific needs—which is why we’ve come to the conclusion that I and Love and You Ultimate Dry Dog Food, Red Meat Medley Reci﻿pe is the best dog food for Cockapoos. Cockapoos need a healthy diet that’s filled with nutrients—not cheap fillers or over-processed components. But I and Love and You does an awesome job of this by providing a formula that’s grain, corn, wheat, soy, and rice free. In addition, it’s packed with ingredients that almost seem specially chosen for the Cockapoo! It contains herring meal, which is an awesome source of Omega 3 Fatty Acids. This will help with common joint and ligament problems in the breed, like Slipped Stifles or Hip Dysplasia. It also contains ingredients like eggs, cold-water fish, and blueberries to support better eye and vision health—which is awesome for this breed’s predisposition to conditions like cataracts. 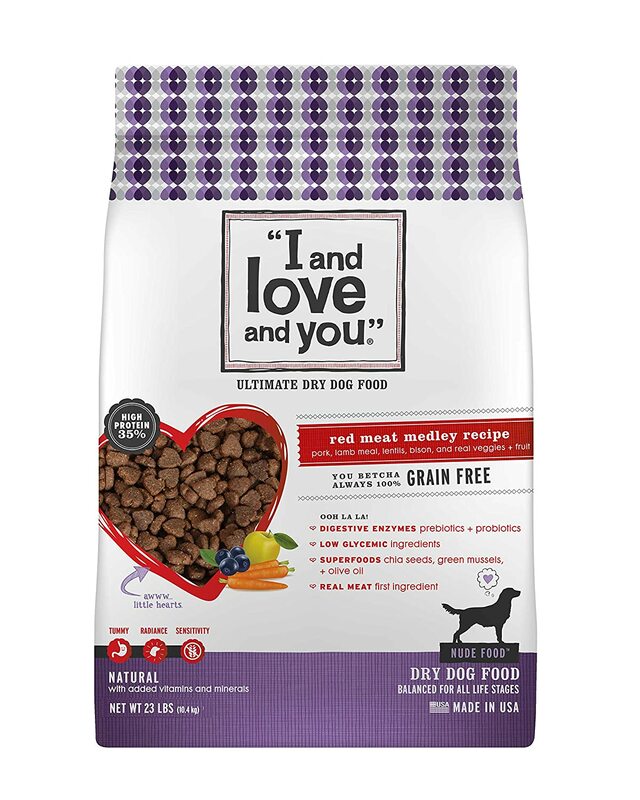 If you want the very best for your Cockapoo and are interested in feeding your dog a high-quality kibble that’ll actually contribute to his or her quality of life in the long run, then I would definitely recommend giving I and Love and You Ultimate Dry Dog Food, Red Meat Medley Recipe a try.